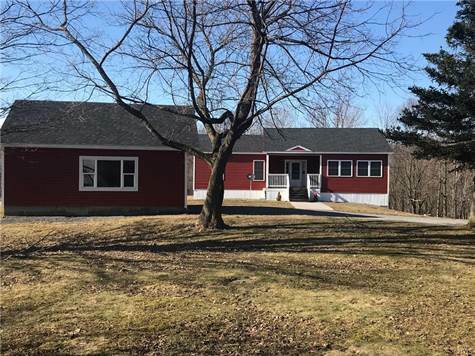 Homes for Sale in Lorraine, New York $209,000 1st Carriage House Realty, Inc.
COUNTRY RANCH WITH 17 ACRES OF LAND. 3 BEDROOMS ON THE 1ST LEVEL, KITCHEN OPEN TO DINING & LIVING ROOM. SPACIOUS ENTRY WAY W/ COAT CLOSET. MASTER BEDROOM W/ PRIVATE BATH, SOLID HICKORY CABINETS IN KITCHEN. DOWNSTAIRS IS A FULL FINISHED ONE BEDROOM APARTMENT, IN LAW SUITE, OR CAN BE ADDITIONAL LIVING SPACE FOR THE FAMILY W/ SNACK KITCHEN. LARGE LIVING SPACE/ ROOM, CURRENTLY MAN CAVE W/ POOL TABLE. BRIGHT AND SUNNY LIVING SPACE. IN FLOOR RADIANT HEAT. VERY NICE SETTING WITH LARGE TWO CAR GARAGE AND A SECOND BUILDING FOR EQUIPMENT OR STORAGE OR GARDEN SHED. MATURE TREES IN FRONT YARD GIVE THIS HOME AN ATTRACTIVE CURB APPEAL. DON'T WAIT, CALL TODAY!